We all try to seek balance in our lives, but there are times when things just get a little bit out of control. Maybe you have a new baby. Maybe there is something major going on at work. You could have a sick family member, a big home project going on, the kids are involved in something that requires lots of driving on your part, or maybe you’re injured. The point is, in all of our lives, sometimes a situation arises during which we’re too busy to prep in the way we usually do. When this happens, it can add to an already elevated stress level. You know you should be doing more to be prepared but there simply aren’t enough hours in the day to do the things you want to do. Sometimes it isn’t even that you’re too busy – sometimes, your motivation just takes a beating because there are so many negative and stressful things going on in the world. When this happens, you just don’t feel like actively focusing on preparedness all the time. During times like these, the best thing you can do is focus on fitting in small tasks when you can. Try to do one small thing per day to keep your prepper mojo going. And most of all, try not to worry about the things that you aren’t doing. You’ll get there. I have faith in you. Carry a book with you at all times. A Kindle e-reader device might be handier in this situation than a physical copy, and if you are a member of Amazon Prime, you can often “borrow” books for free. Take those moments when you’re sitting in the car waiting to pick up the kids from an activity, when you are on a break at work, or when you’d normally be watching a show on TV and learn something – anything – that will make you more prepared. Take those little moments to work on skills. In those same short breaks as I mentioned above, work on a skill that would be handy post-disaster. Take your knitting with you or do some kind of small, portable task. Add a little to your stockpile each week. Hopefully, before life got crazy, you had a good handle on the weak points in your stockpile. So, if you know that you need fruits and vegetables, for example, pick up some shelf-stable items at the store during your regular shopping trip each week. If you need dry milk, quickly order high-quality dry milk online. If you need meat, buy some canned fish at the store or order some freeze-dried beef crumbles. Make one purchase each week and you’ll still be increasing your stockpile. Make your downtime count. Keep your prepper mindset sharp by using it often. If you are taking a couple of hours to sit down with the family and watch a movie, watch something that will let you think through a scenario. Here’s a list of survival-themed movies – grab some popcorn! Family time on the weekend can be used for prepping activities. Make family time something active. If you’re spending some time together on the weekend, go for a hike, spend some time brushing up on your nature skills, and work on your fitness. Teach your kids some skills. Obviously, no matter how busy we are, we still want to spend time with our kids. Spend a summer evening making homemade jam with your kids. It might take a little bit longer but they’ll be very proud of “their” jam and you’ll get some food preservation done at the same time. 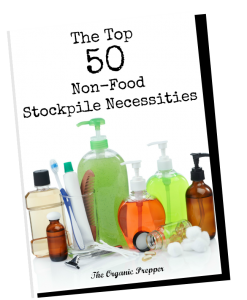 (You can get some recipes in The Prepper’s Canning Guide.) Try to make it fun instead of one of those things you “have” to do. Organize things into kits. If you have a little time, organize the things you already have into kits. I like to use plastic organizers of varying sizes. Not only will this help you to quickly be ready for an emergency, it will help you to see what you’re missing so that you can order it online. Some examples of kits might be: cold remedies, power outage, contagious illness, allergies, bug-out bags, important paperwork, evacuation kits – you get the idea. Shop online. 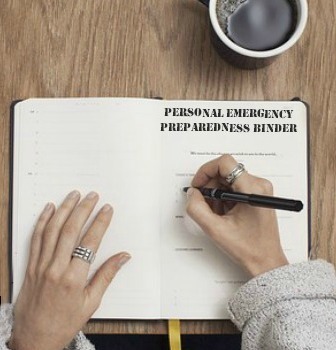 When you’re super busy, you don’t always have time to trek to the store to shop for your preparedness gear and supplies. If you know what you need, shop online and have the stuff delivered right to your door. Amazon really does have almost anything you might need, from camping gear to books to emergency supplies. Buy food in buckets. If you’re short on time, you don’t want to have to transfer everything to Mylar bags and buckets on your own. Order some emergency buckets and all you have to do is put them away with the seal intact. Each bucket contains a 30 day supply of basics for one person. (Although we like to supplement with extra fruits and vegetables when using these goods.) This is a great way to vastly increase your emergency food supply without spending much time to do it. Have you ever been too busy to prep? Have you ever run into a period of time when you were just too busy to prep the way you wanted to? What were some quick things that you found the time for? How do you stay motivated when life gets crazy busy? Share your stories and suggestions in the comments below.